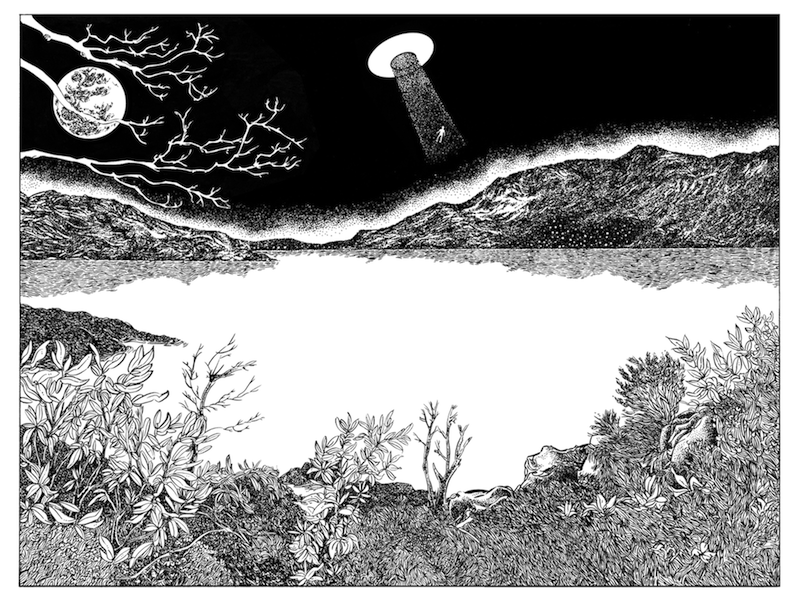 A drawing influenced by lists of notable alleged sightings of unidentified flying objects or UFOs in the United Kingdom. Many more sightings have become known since the gradual release of the MoD UFO sighting reports by the National Archives in 2008. This particular illustration is based around the Windermere Lake area of Cumbria.